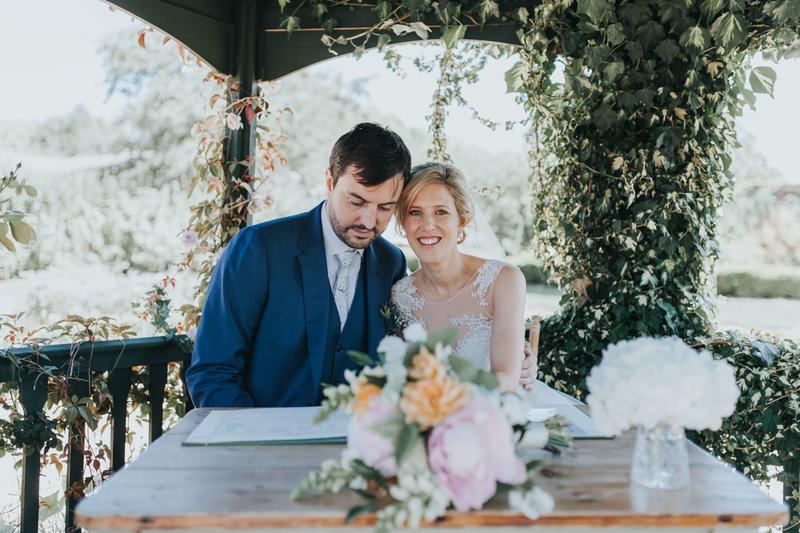 Jennie and Simon met at a seminar in University and then got engaged in London! 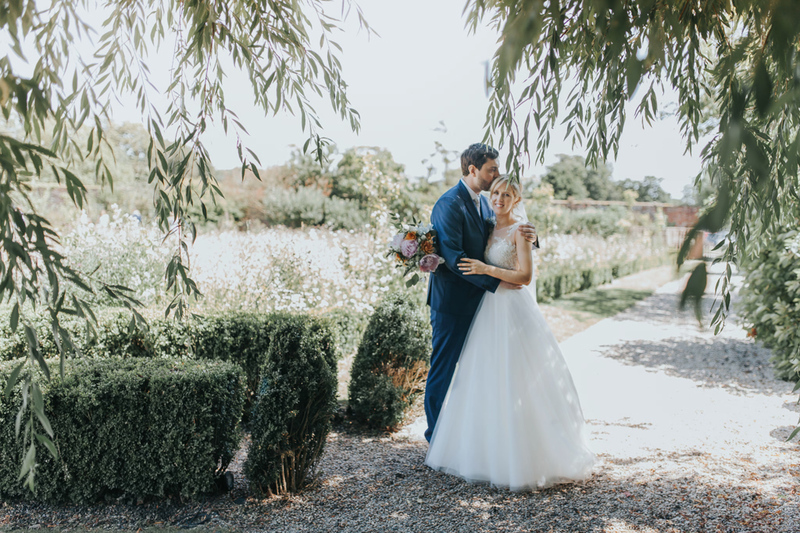 They planned their beautiful, romantic wedding day and booked me for their Secret Garden wedding photography in Ashford, Kent. 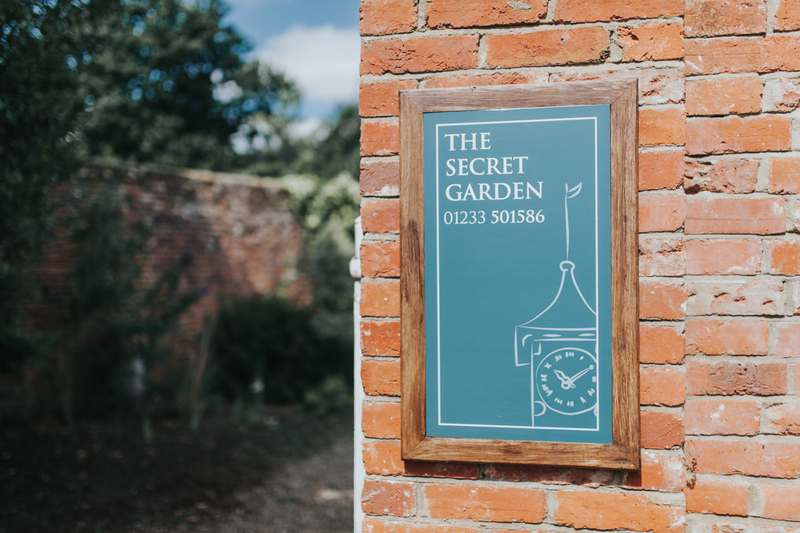 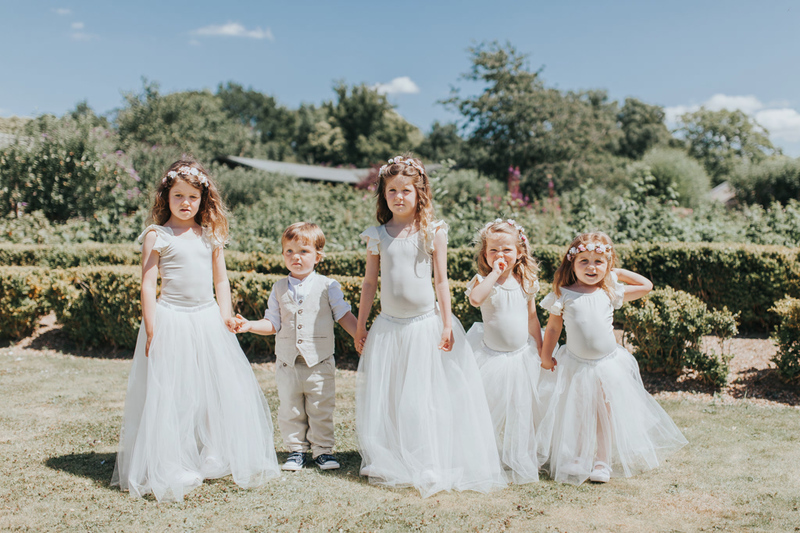 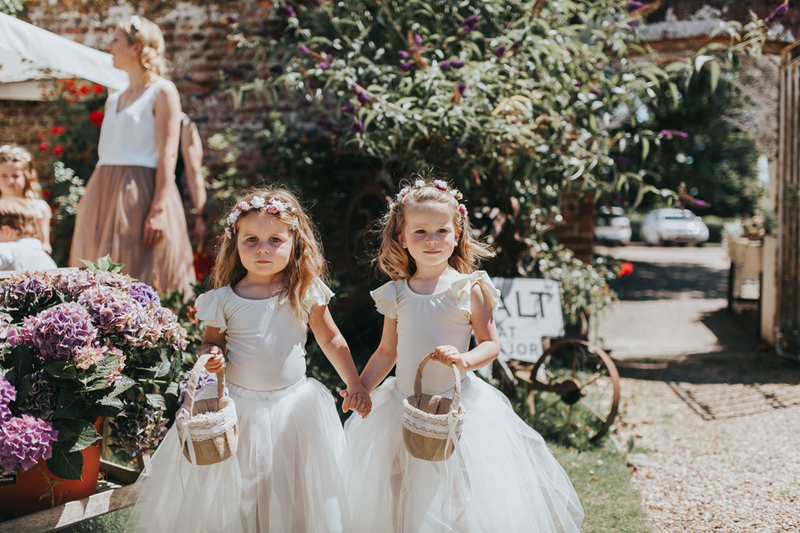 The Secret Garden is a quaint little restaurant and wedding venue situated in the heart of Kent, the Garden of England; it is a true hidden gem. 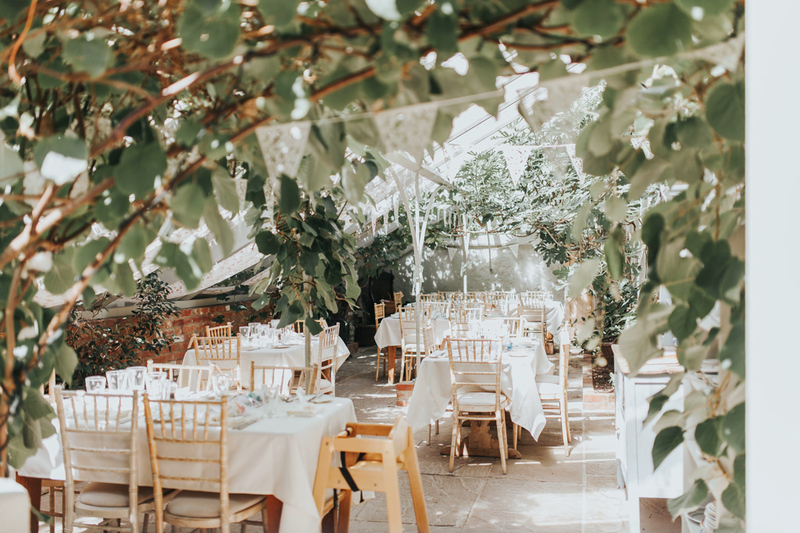 The restaurant itself it a beautiful and lively building, but it is the garden and its surroundings that truly make the venue. 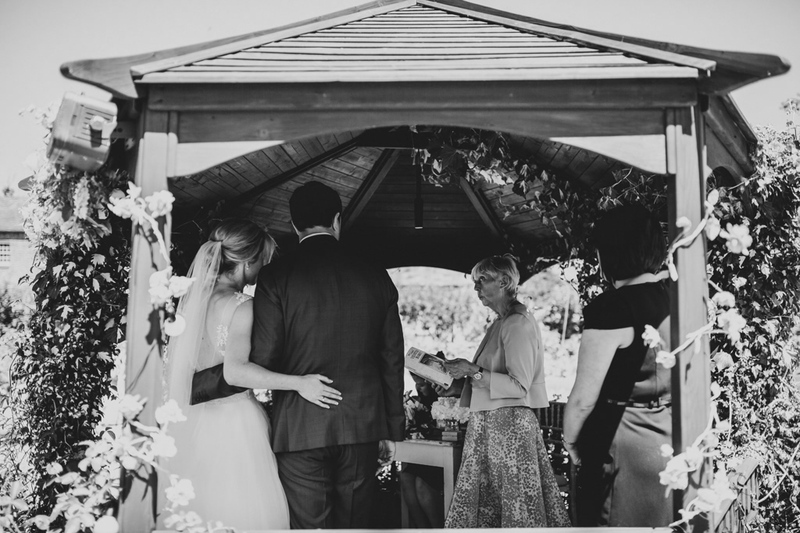 “We came together underneath the stars above. 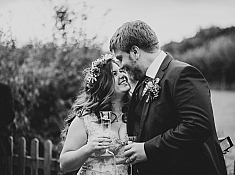 What started out as liking soon turned into love. 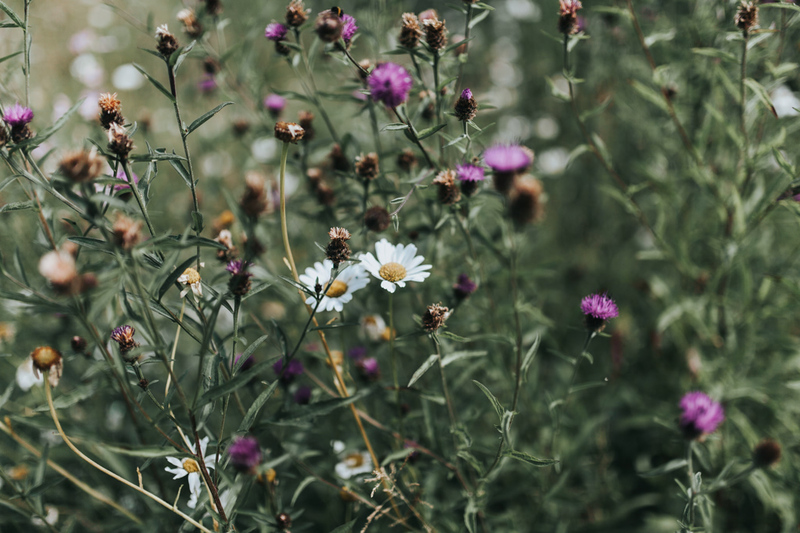 I sensed a certain something in my heart that was true. 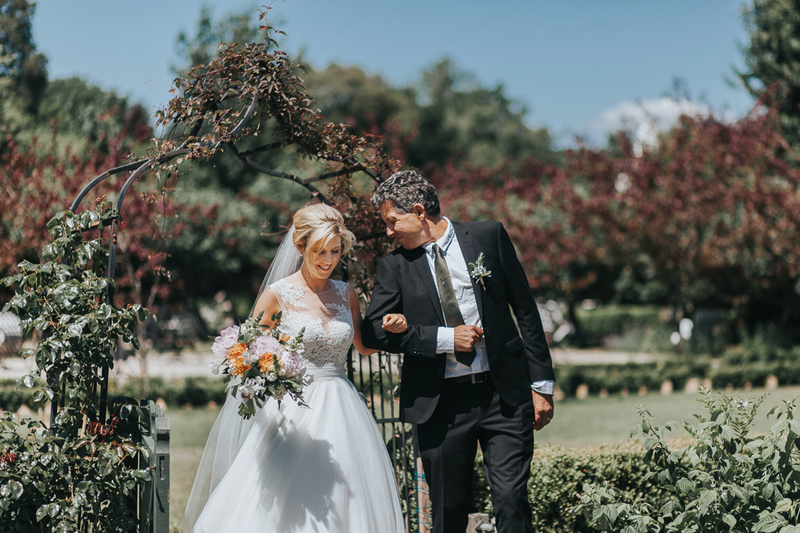 I know I waited all my life to fall in love with you.” – Anonymous. 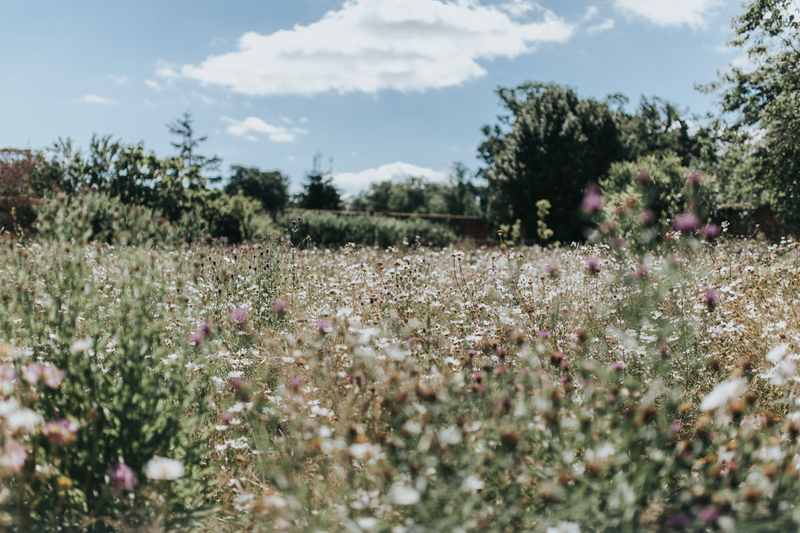 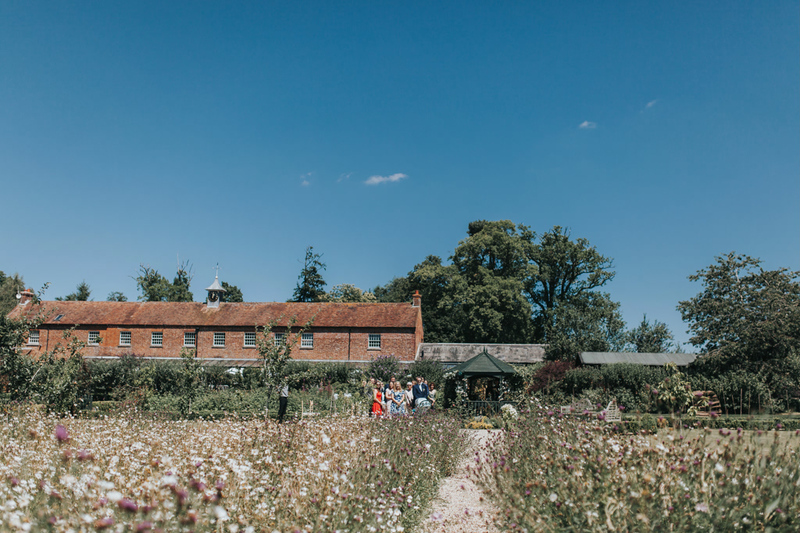 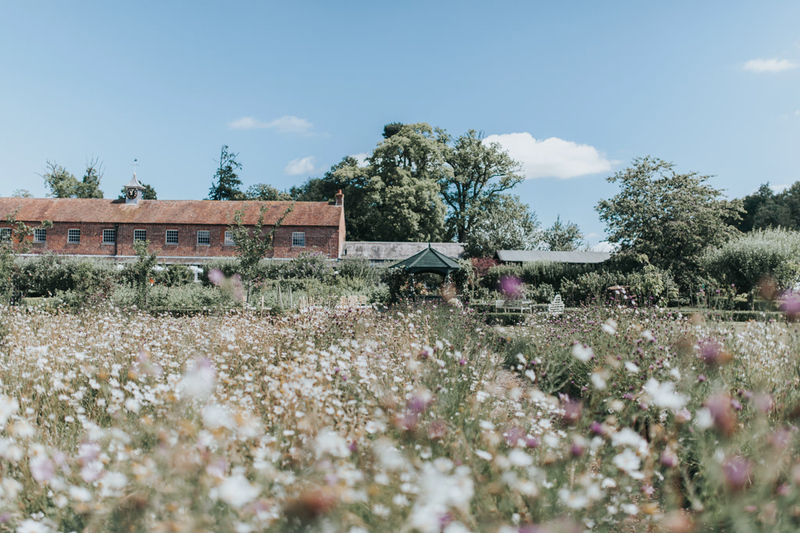 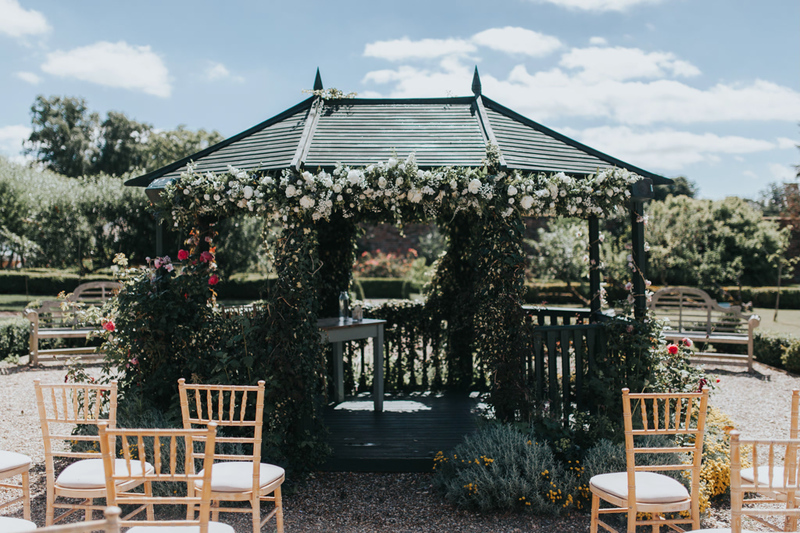 The walled garden is filled with wildflowers and other shrubbery, and centred by a remarkable wooden pergola, which is covered in flowers and is the cover under which it’s wedding ceremonies are performed. 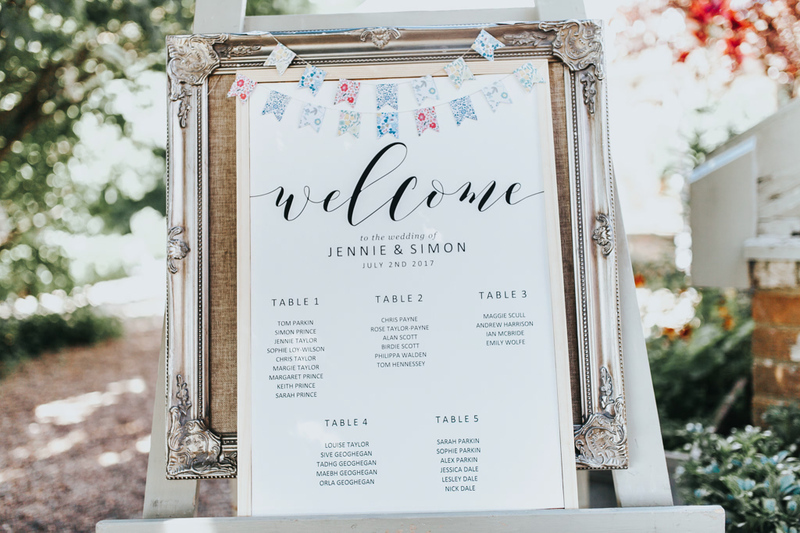 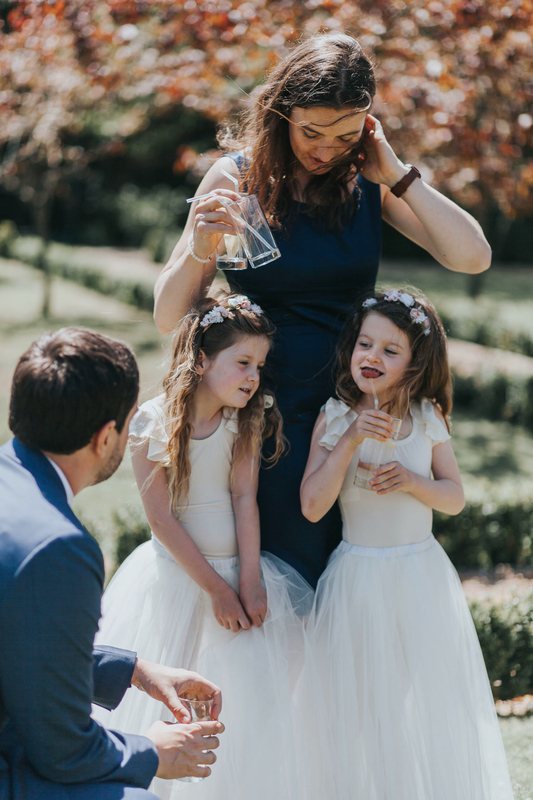 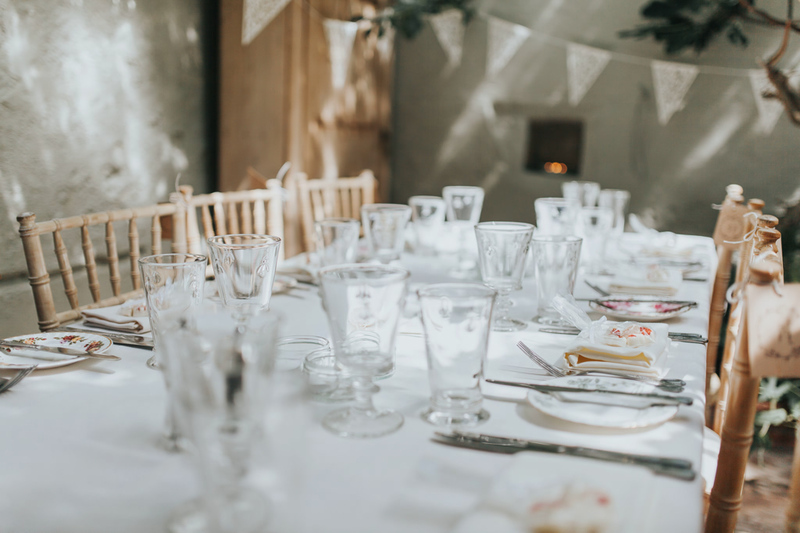 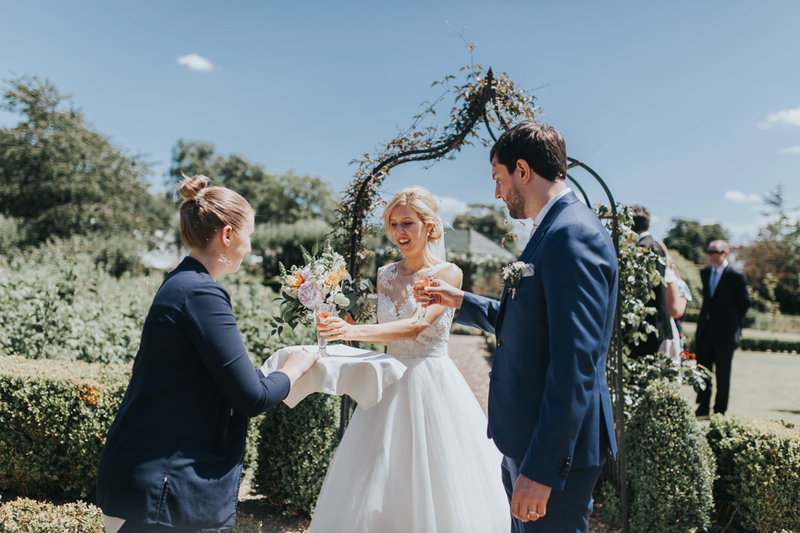 Guests can then have drinks in the gardens alongside garden games, followed by dinner in the stunning Greenhouse restaurant, which is also filled with light and greenery. 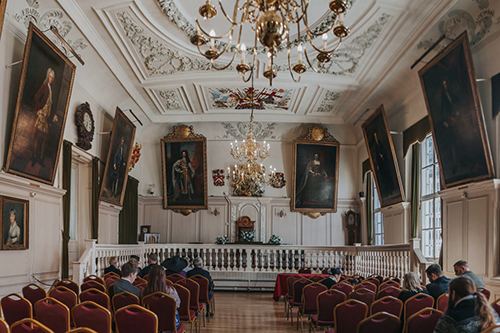 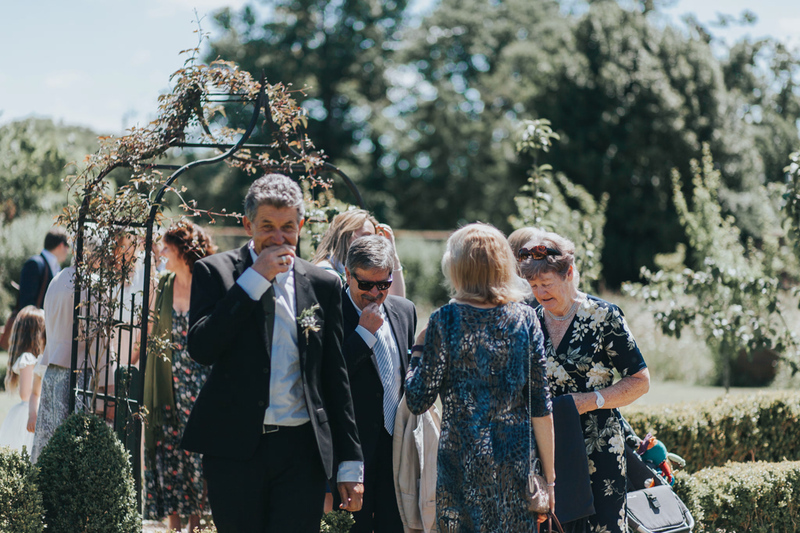 There is also a marquee for dinner and/or the evening reception, so you can party hard into the evening inside this beautiful venue. 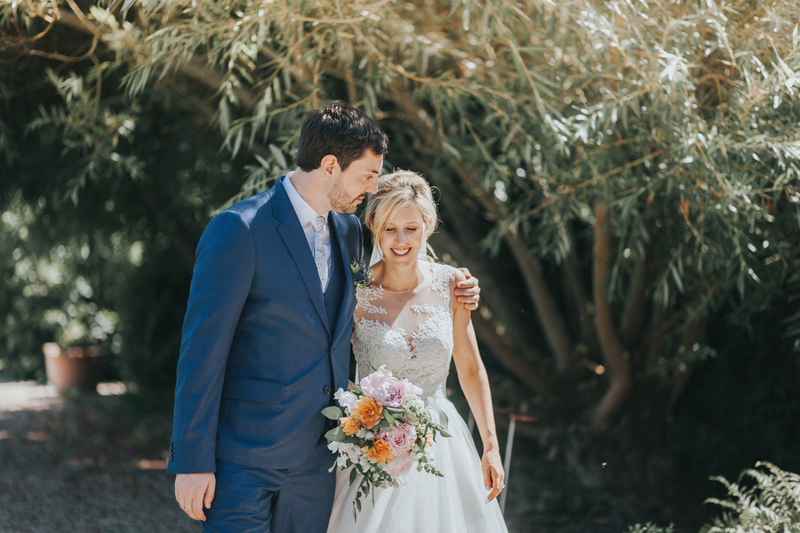 “Every moment I spend with you is like a beautiful dream come true.” -Anonymous. 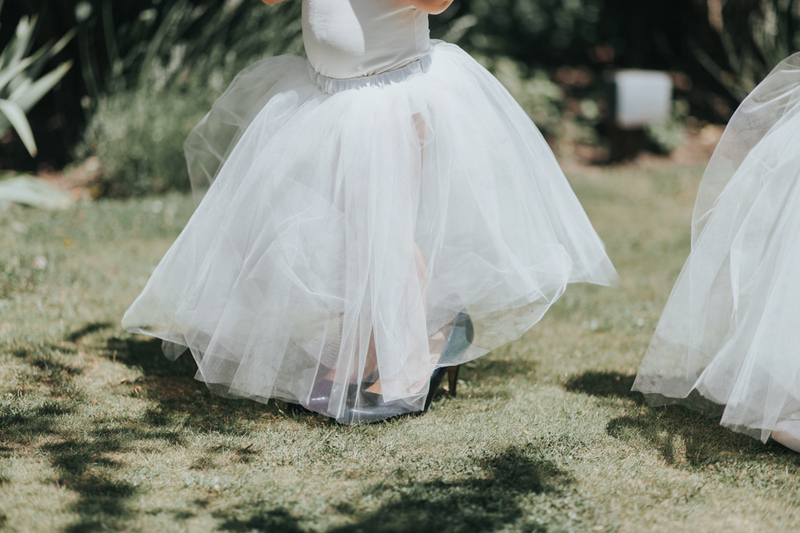 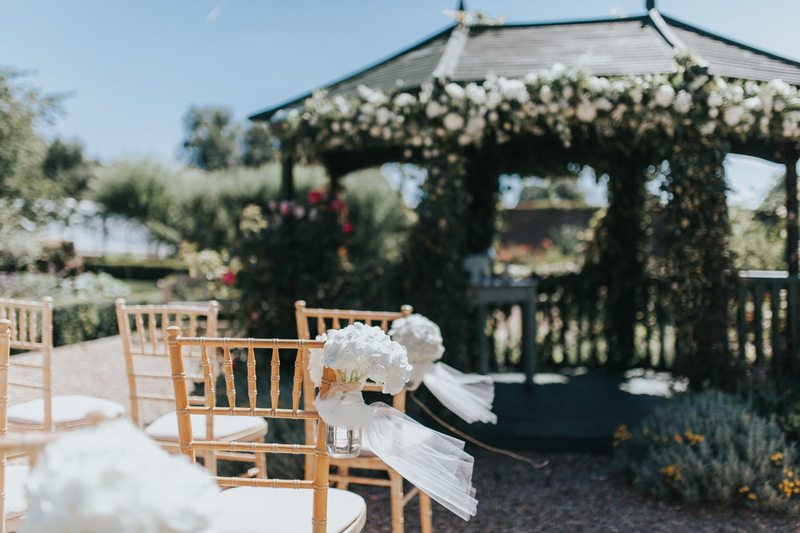 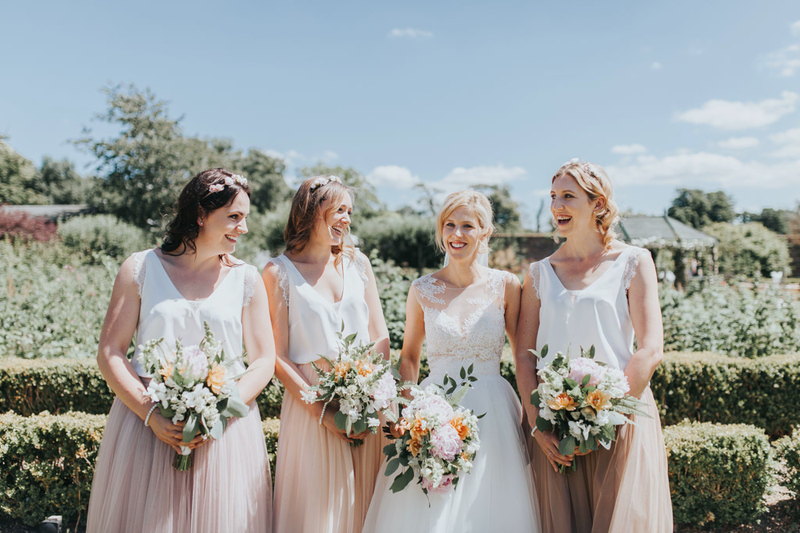 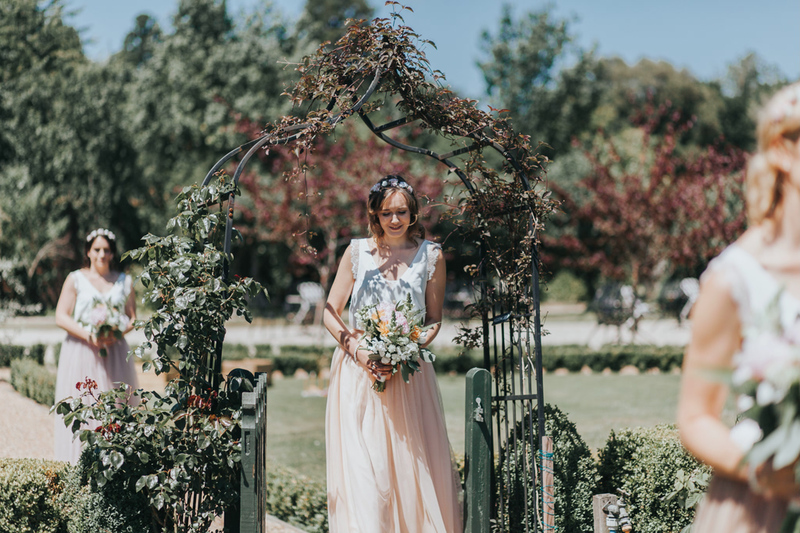 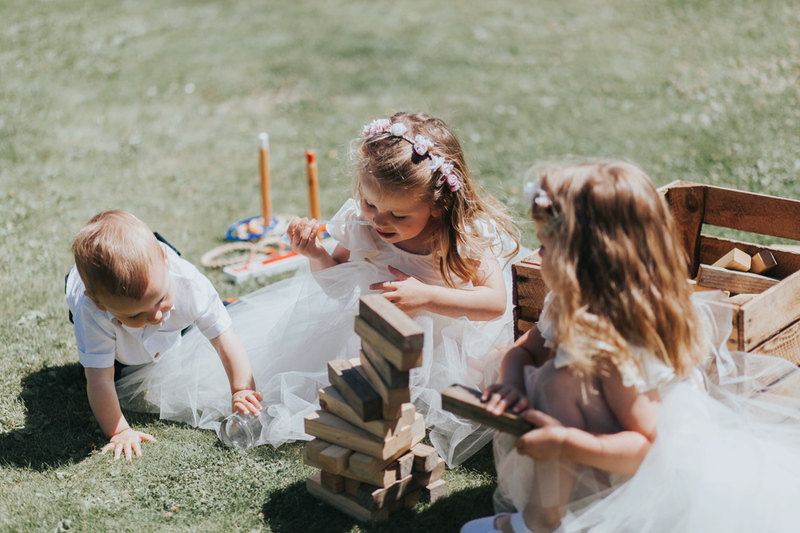 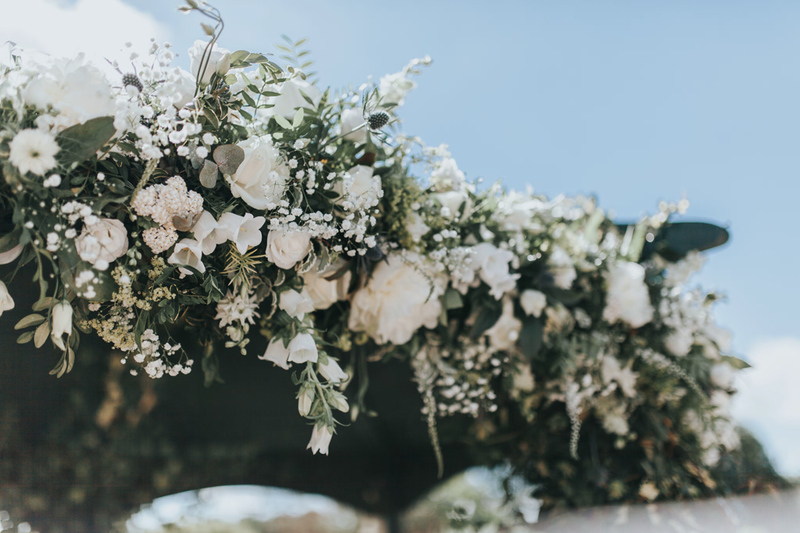 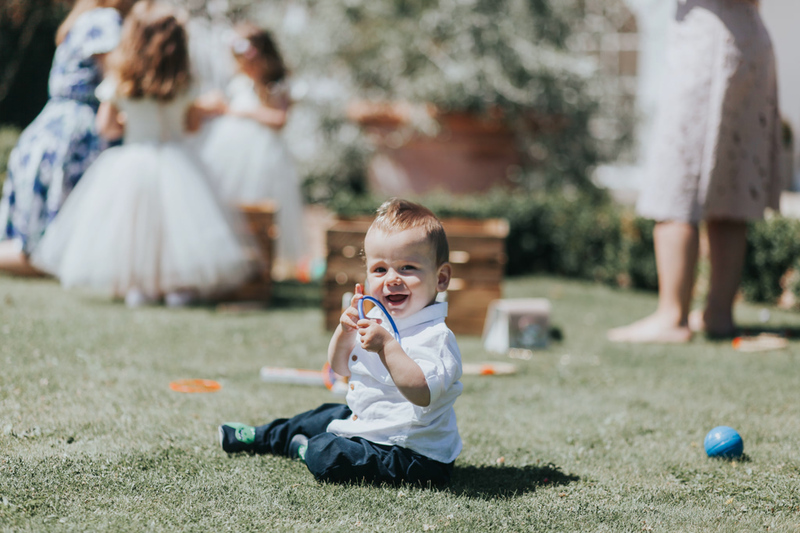 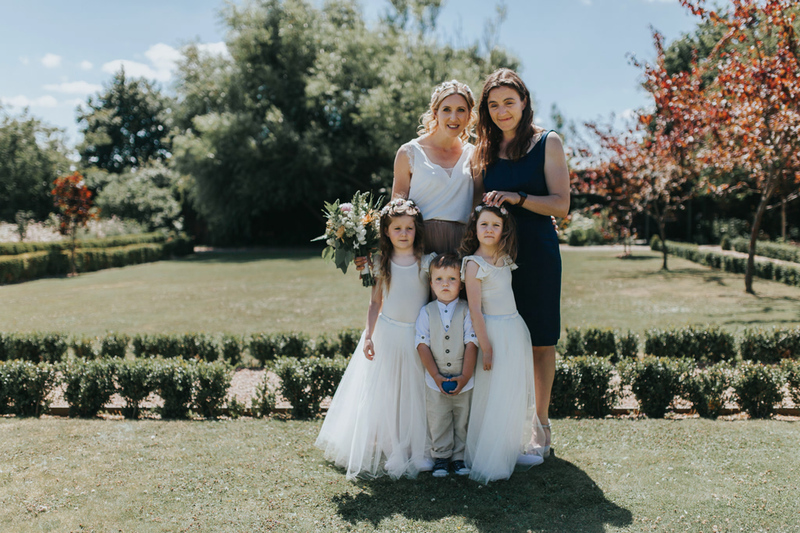 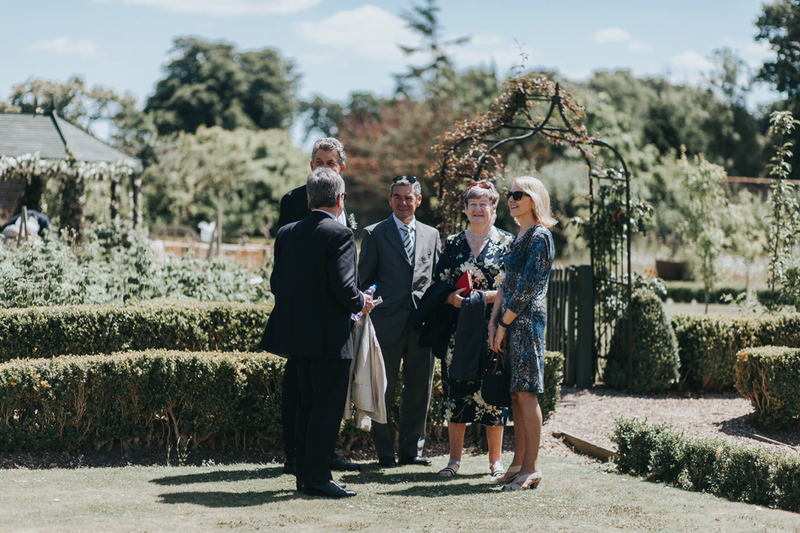 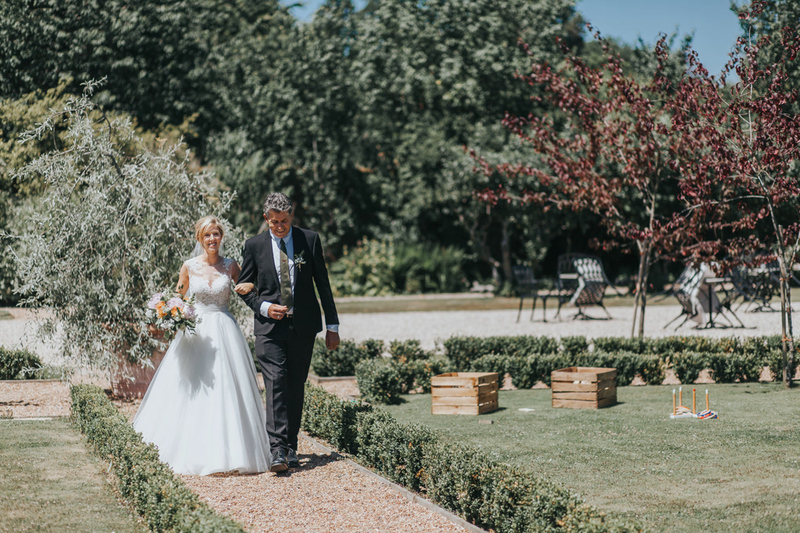 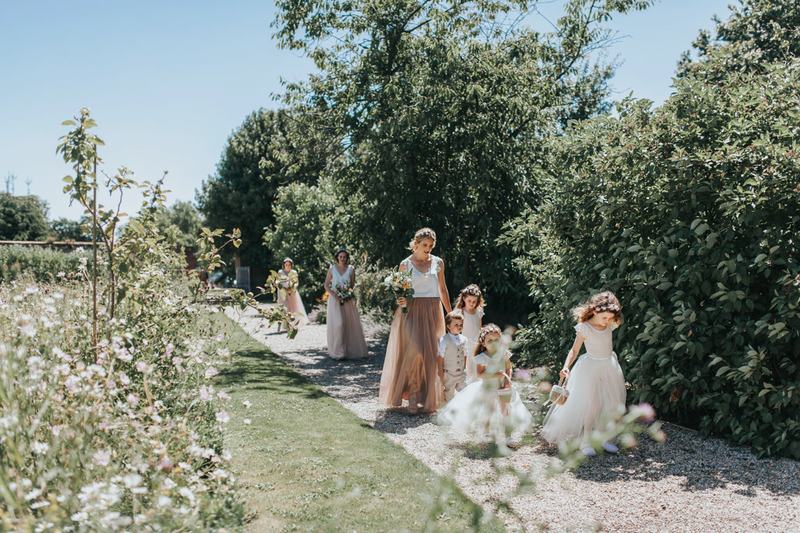 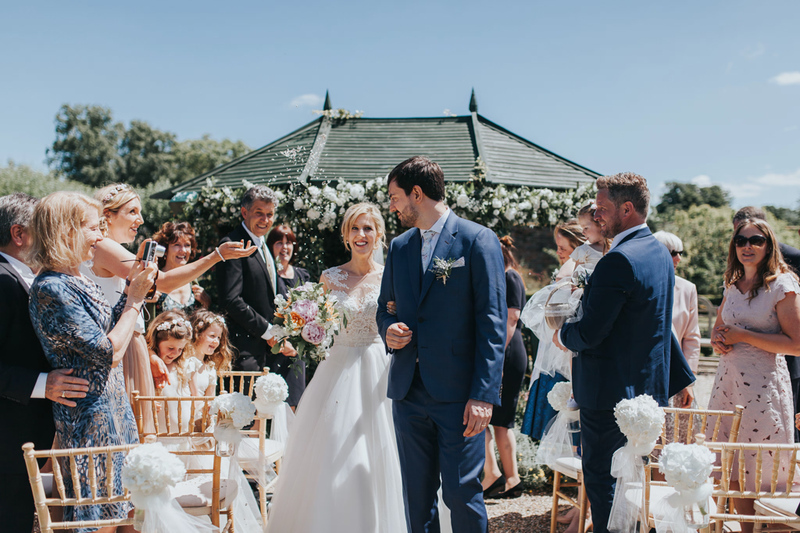 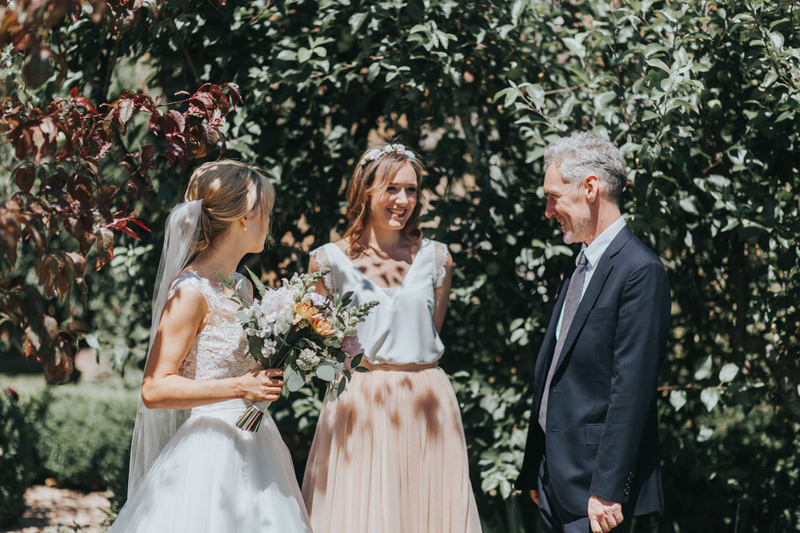 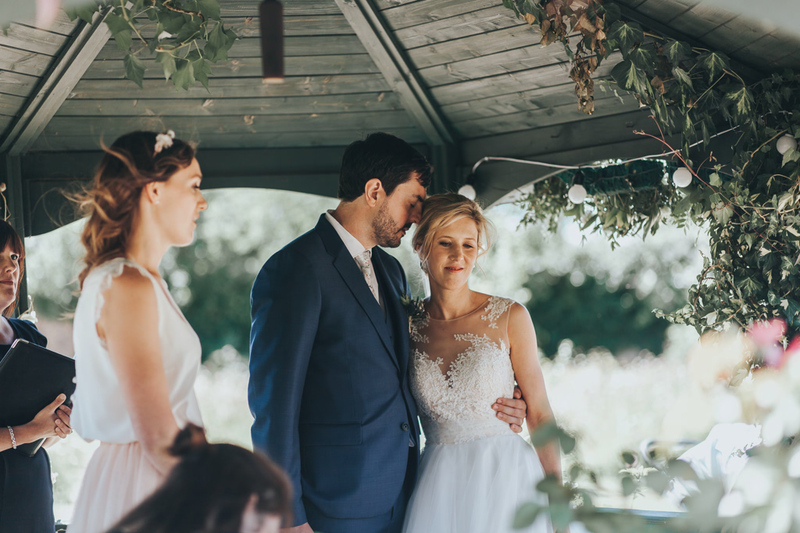 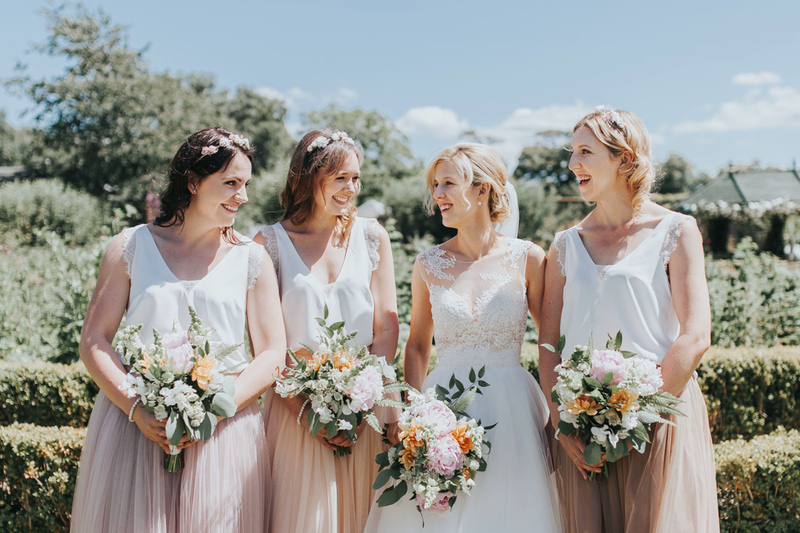 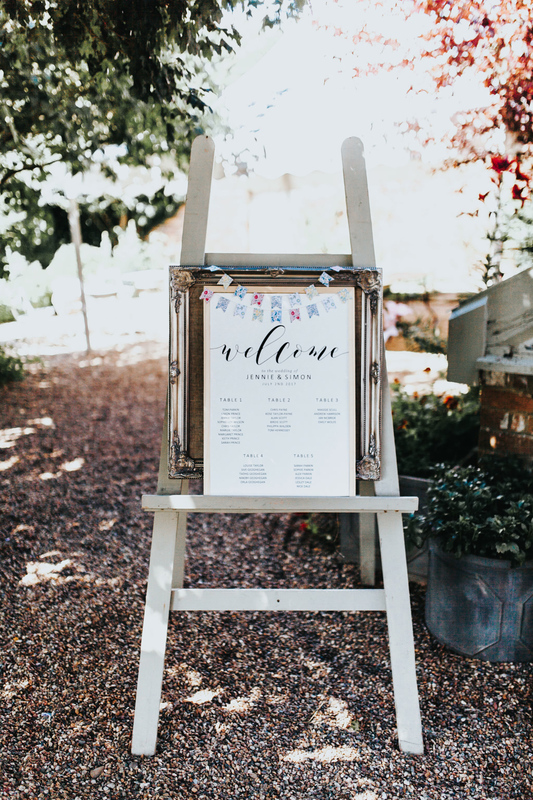 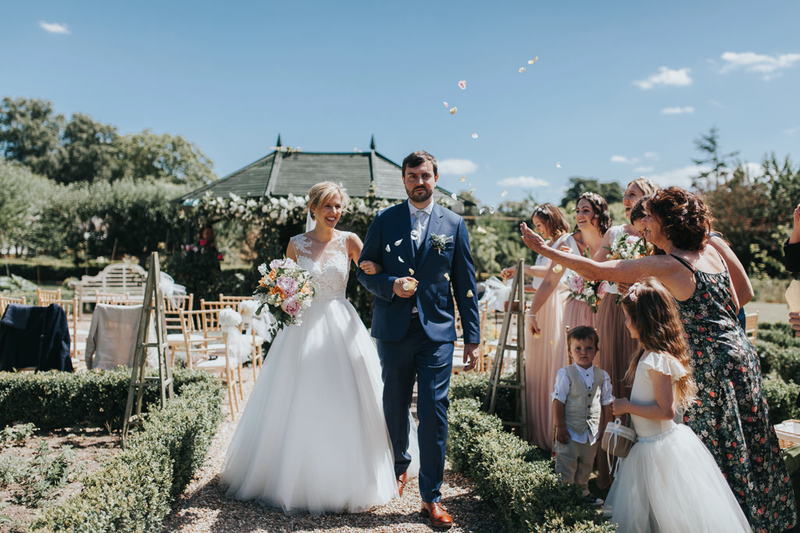 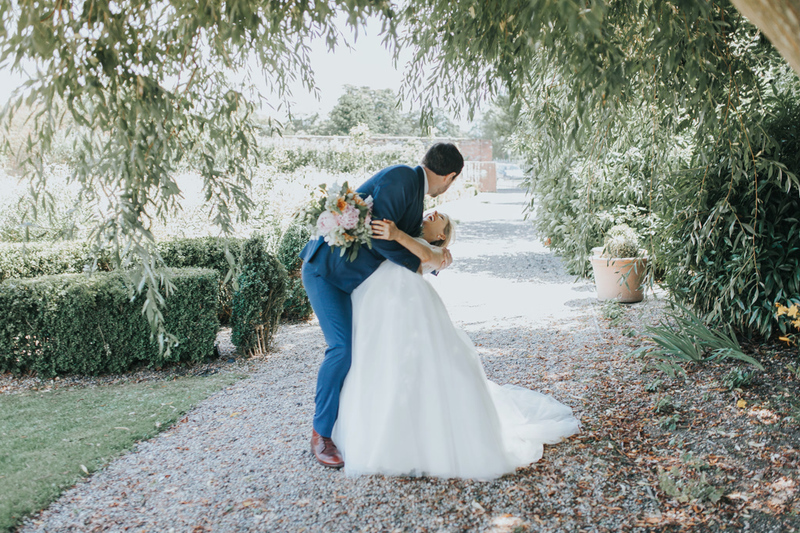 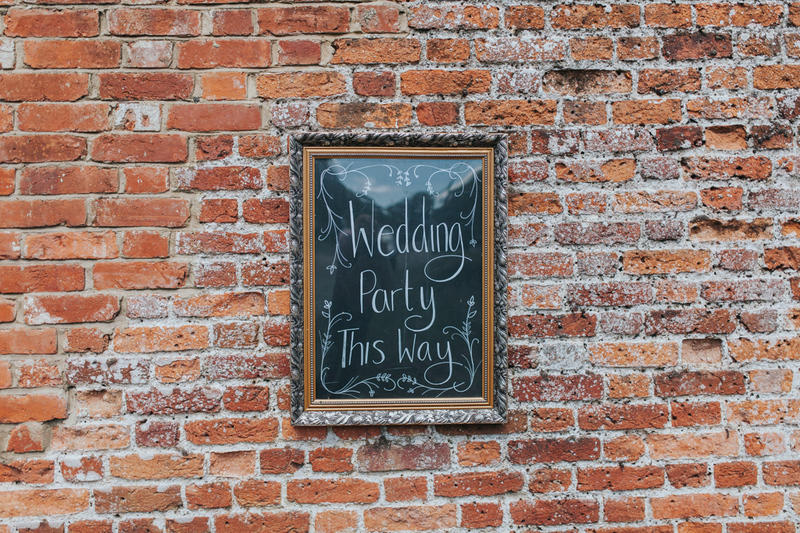 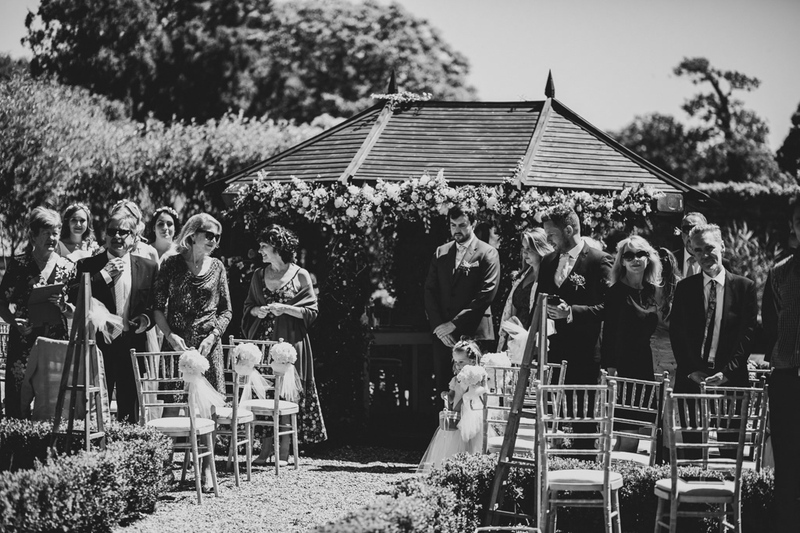 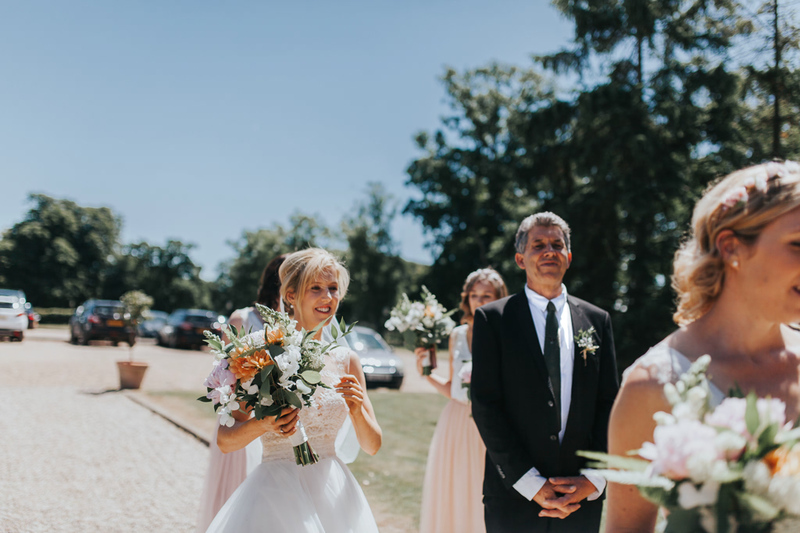 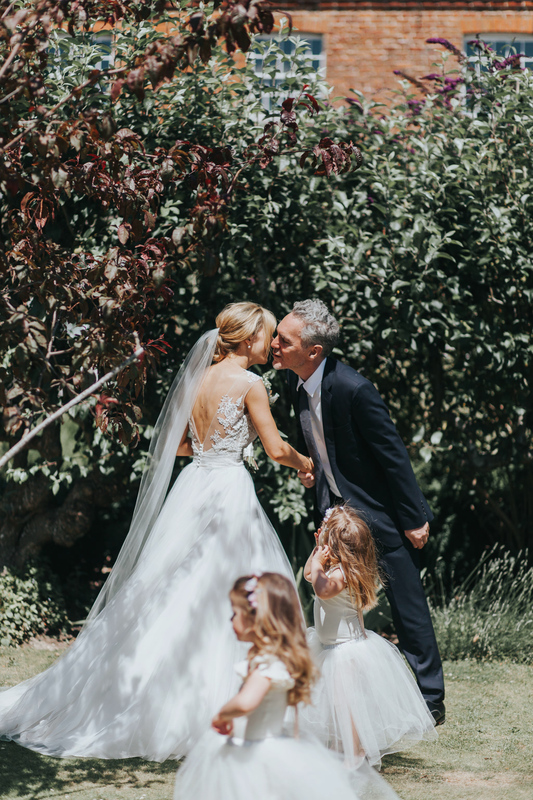 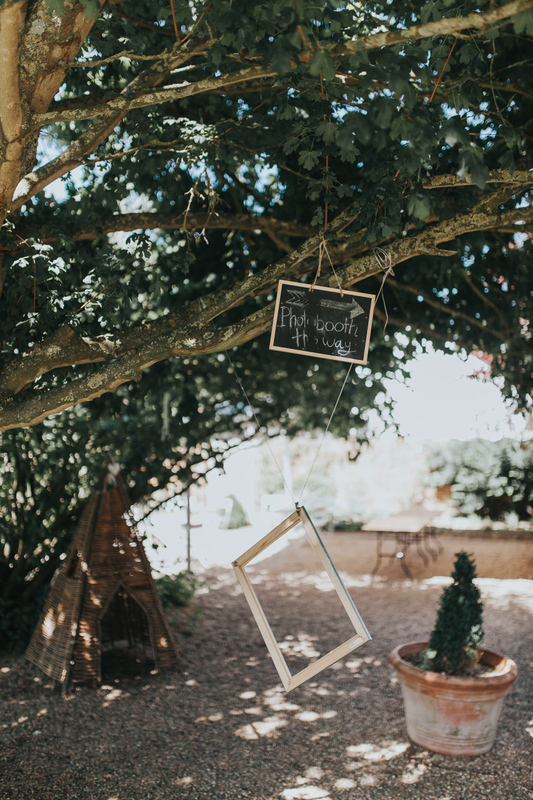 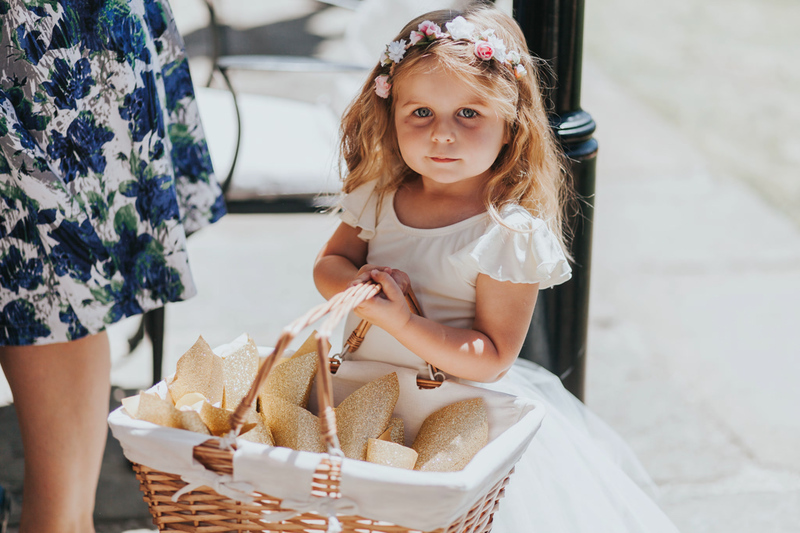 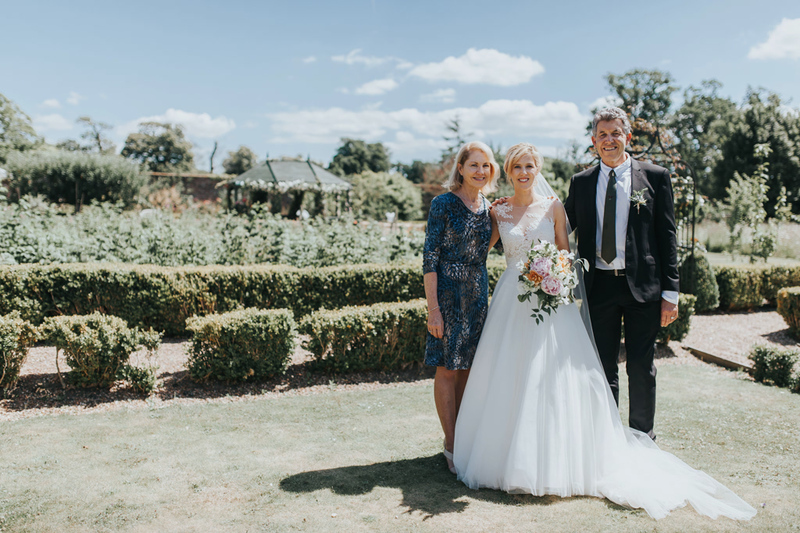 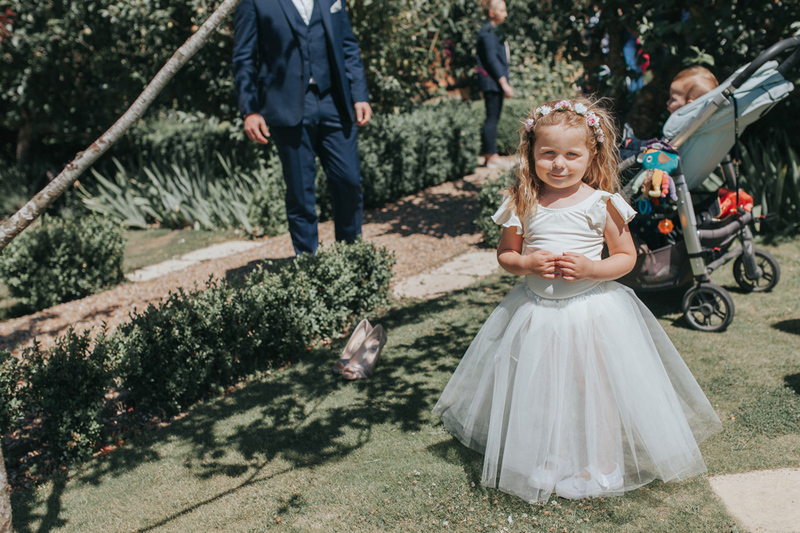 The ceremony was filled with just a small number of guests as the happy couple were married in the pergola in the Secret Garden and the weather was blindingly sunny – giving us all the perfect taste of an English summer. 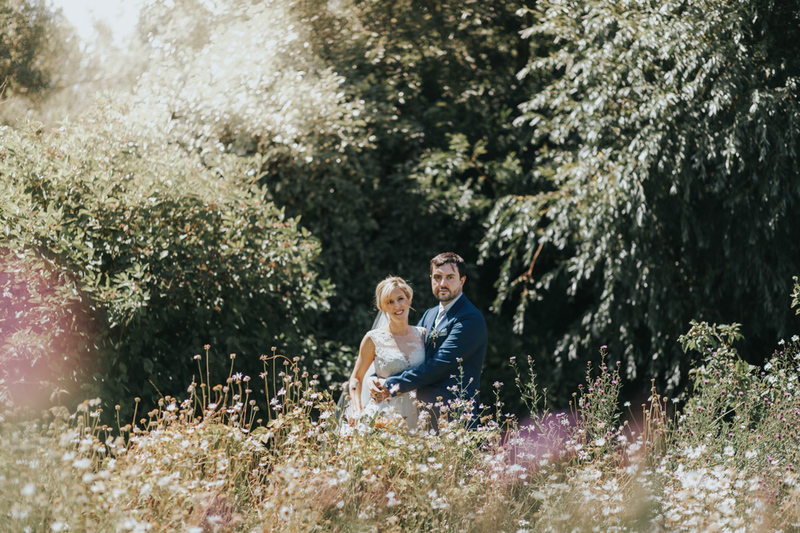 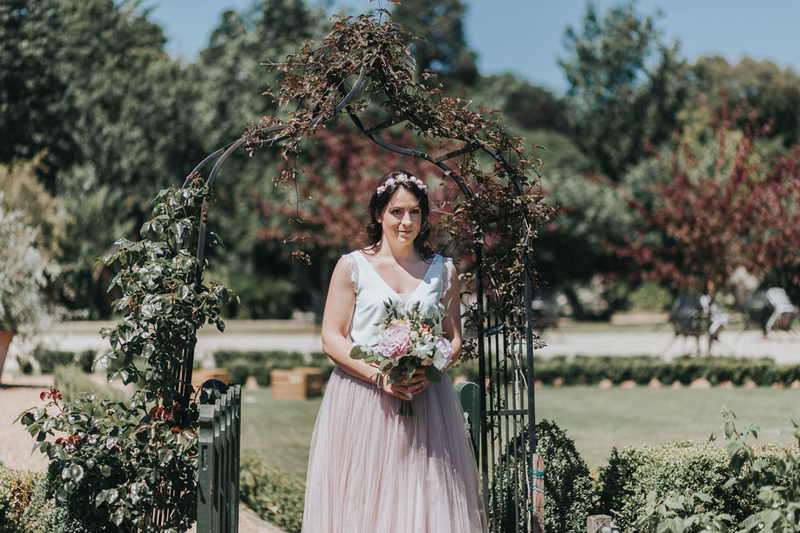 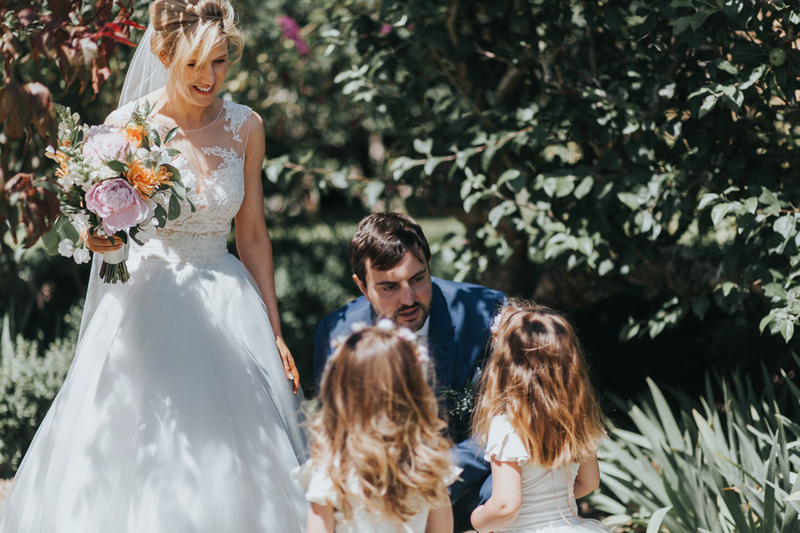 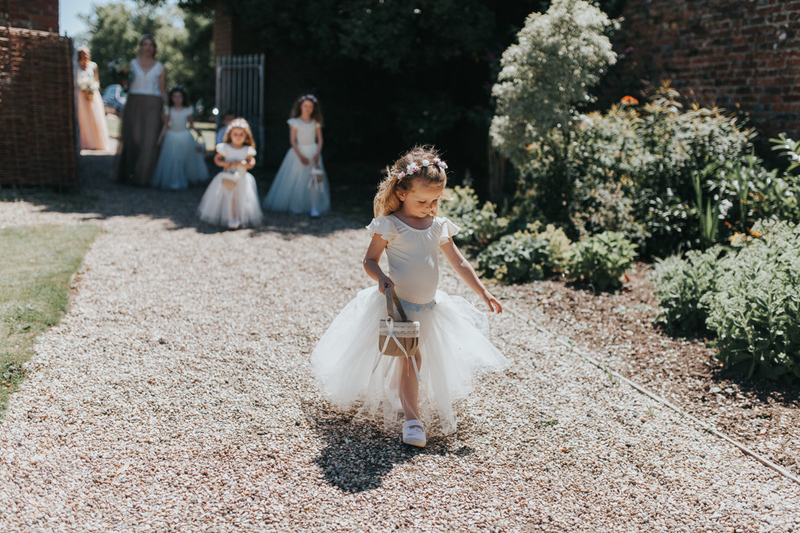 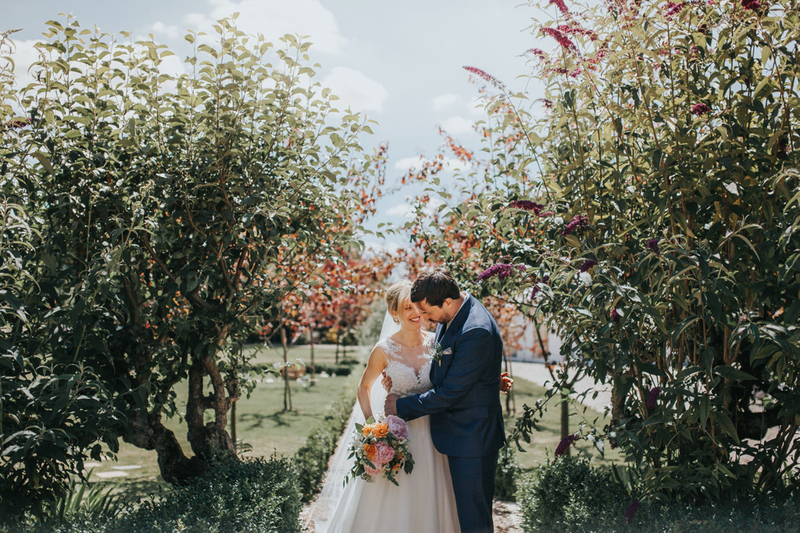 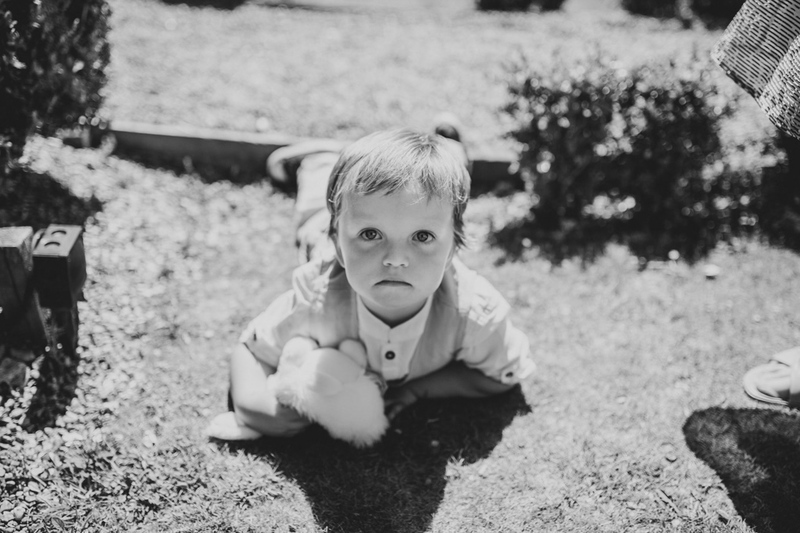 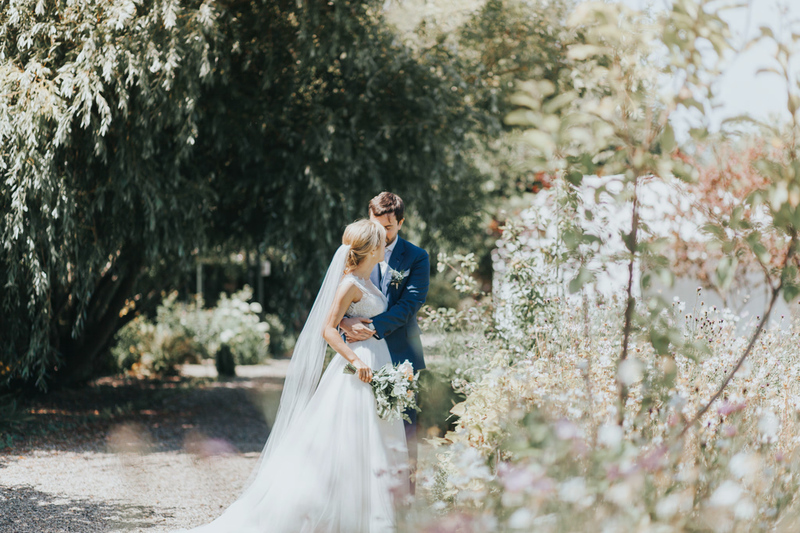 Being surrounded by nature and wildlife amongst so much love and happiness was a wonderful setting for me to work on this secret garden wedding photography. 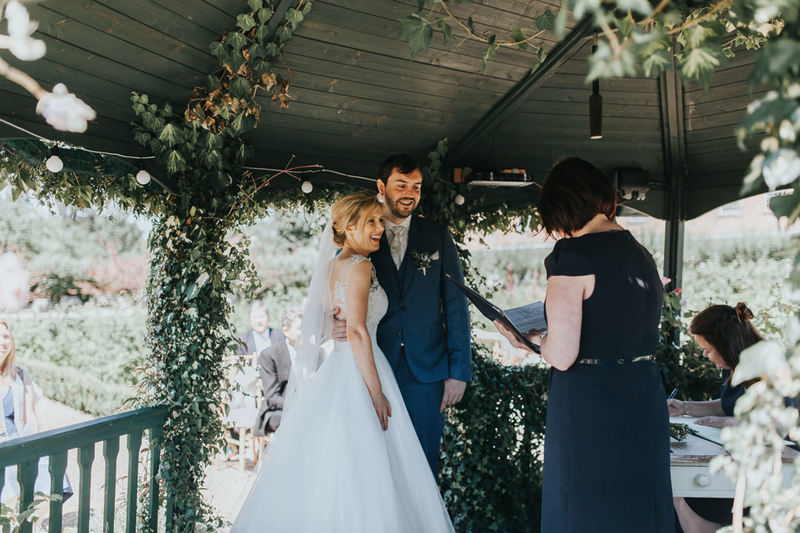 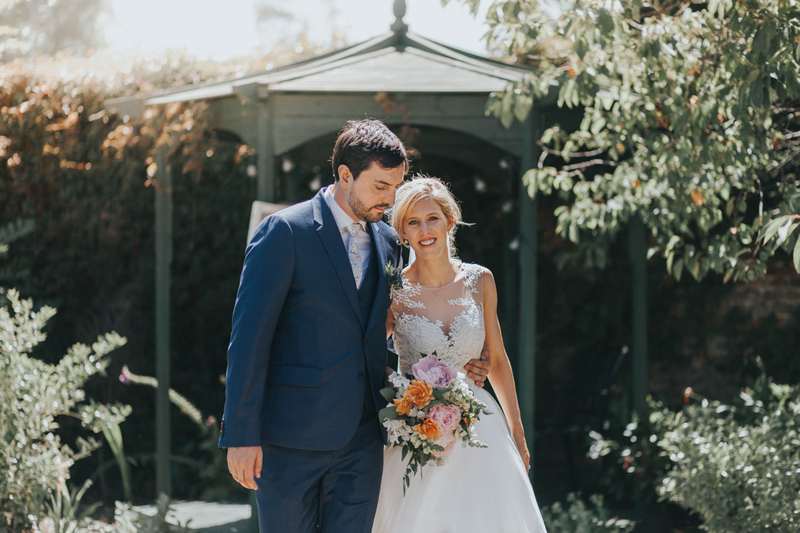 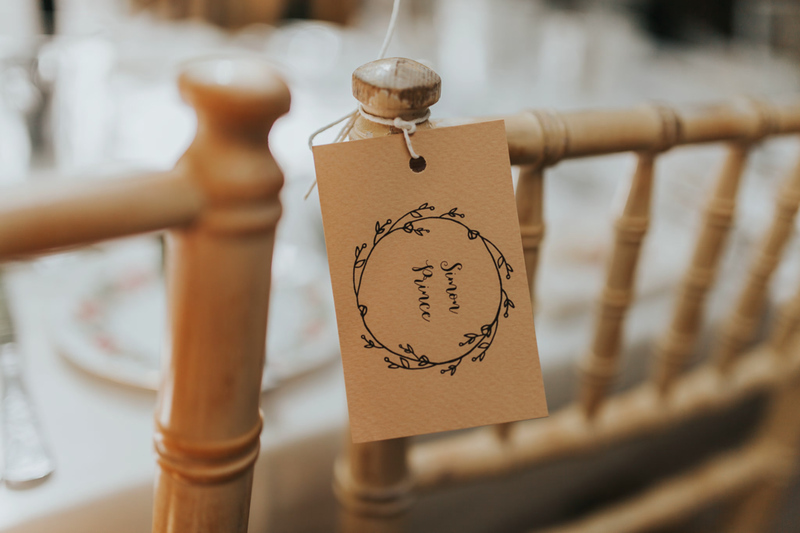 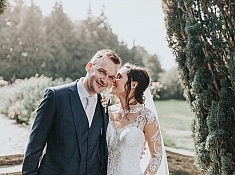 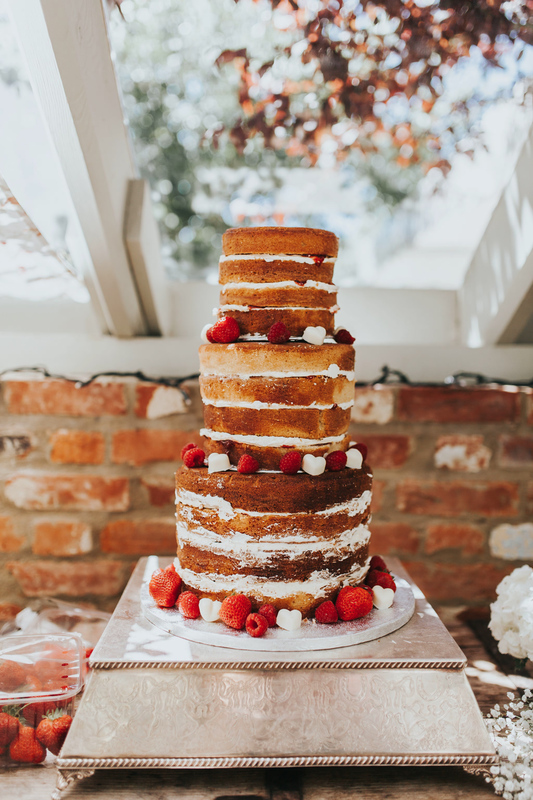 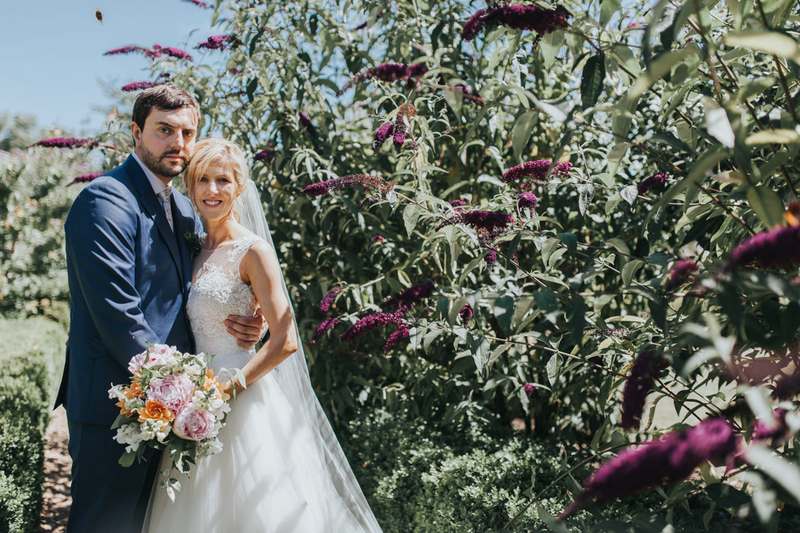 Jennie and Simon were married in their beautiful ceremony in the garden and followed a stunning, intimate meal with their guests in the greenhouse restaurant. 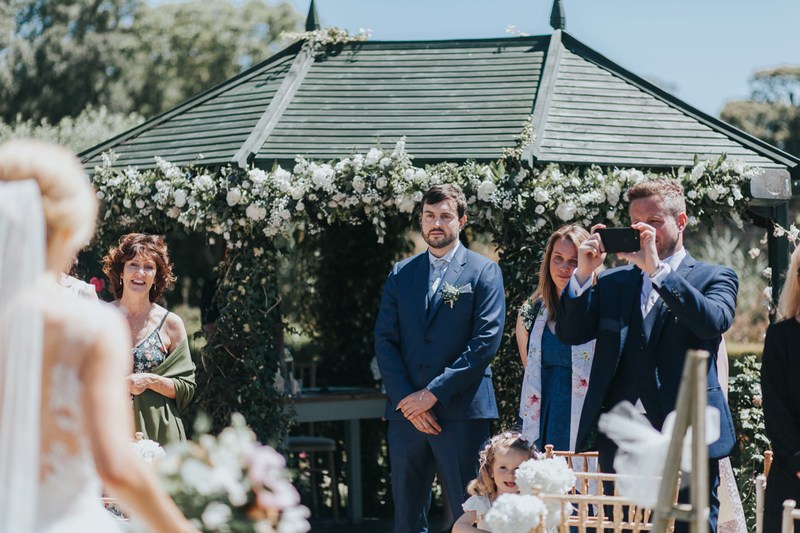 Here’s a little view of their wedding day, through my eyes. 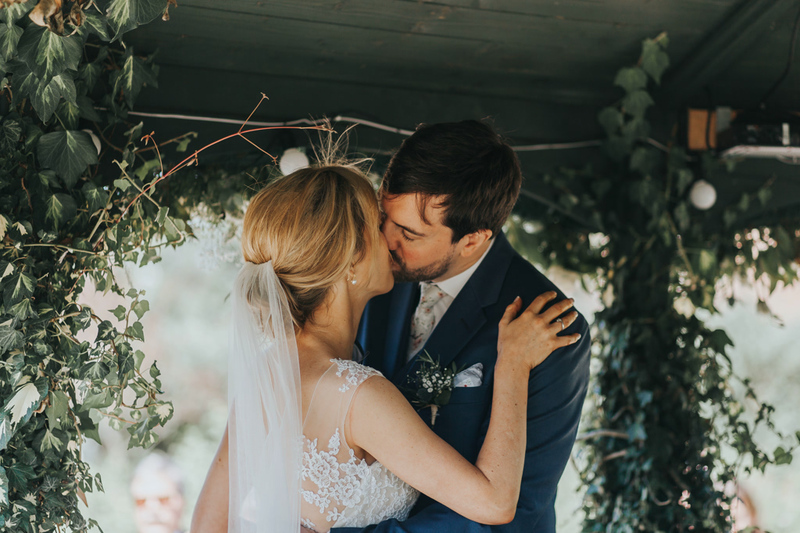 I am absolutely honoured to have been their wedding photographer and wish them every happiness in the coming days, months and years of what I suspect will be a long and beautiful marriage. 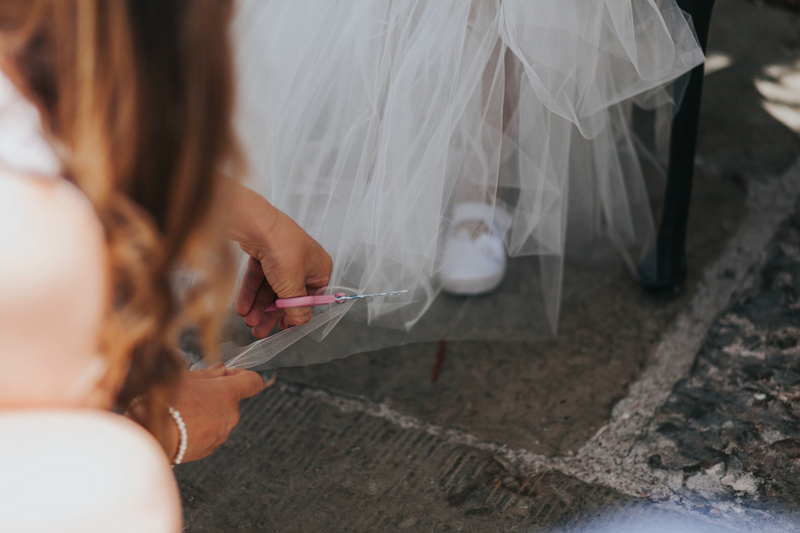 Previous: The Unplugged Wedding: Should you consider banning camera phones from your wedding? 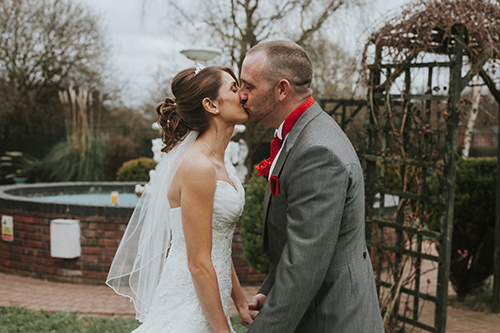 Next: Jennifer & James’ Bromley Wedding Photography with a London Bus!